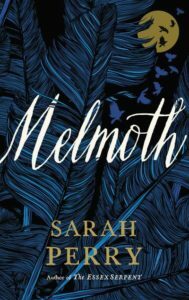 I hate horror movies (yes, I’m a scaredy cat) but I love books that fall into the surreal/eerie/uncanny category, which I think is what I’ll find in Melmoth. Sarah Perry’s new novel follows a translator with a mysterious past. She’s afraid it’s caught up to her when, one day, a friend shows up with a strange manuscript, detailing all sorts of horror stories, each involving a shadowy figure that lurks in obscure folklore, known as Melmoth. Since Halloween is almost upon us, I’m particularly excited to delve into this spooky story of magic and mythology. 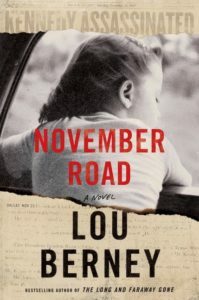 November Road is the new book that everyone in the crime and mystery world seems to be talking about. And with good reason. Berney’s story starts with the JFK assassination and morphs into a relentlessly moving (and relentlessly engaging) fugitive story, as two figures on the run find their lives intersected and set toward a common fate. 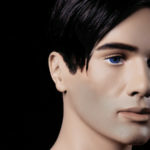 Berney’s voice is strong and human and his characters have rich emotional lives of their own. There’s an incredible momentum to the story, a true thriller punctuated with moments of brilliant humanity. My wife and I are expecting a child in January, so we’ve been talking a lot lately about family, home, and the kind of place we hope to create for a child born into our perpetually troubled world. 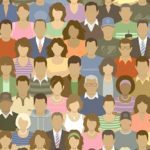 Hearth: A Global Conversation on Identity, Community, and Place, has arrived at a fortuitous time for us. 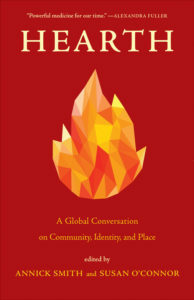 A wide-ranging anthology devoted to the idea and symbol of the hearth, a traditional centerpiece of the home, the collection avoids nostalgia and deals squarely with how community and place can be approached and enacted in a world torn by immigration crises, climate change, and inequality. 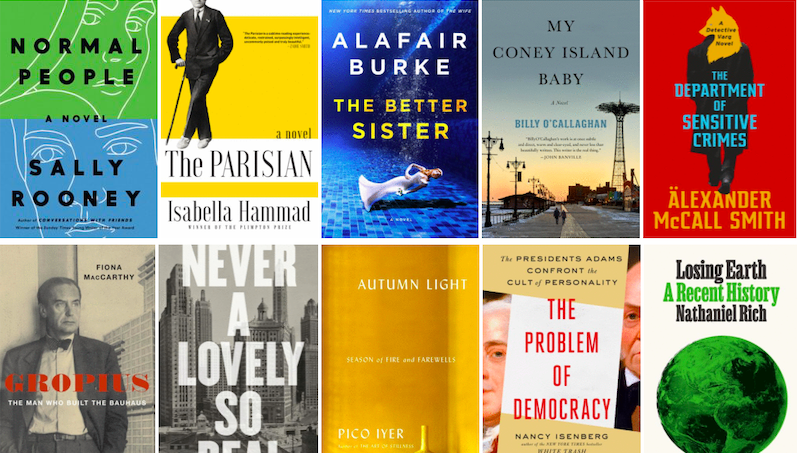 In recent months, I’ve been reading a lot of experimental and surrealist literary fiction, which I love—but I have to admit I’ve worn myself down a bit. 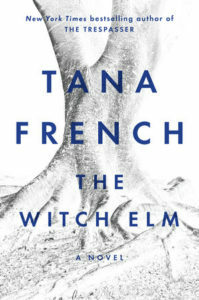 This week, I started in on Tana French’s latest novel, The Witch Elm, and it is absolutely thrilling in its regular novel-ness. This is not to say it’s boring—not in the least. It’s just a real, regular, 500-page novel, with lush, detailed descriptions, large family trees, actual scenes, nagging mysteries, and prose so smooth you forget about it and just sink right in. I doubt that, at page 150, I even have any real idea what this book is going to be, but so far it’s exactly what I need right now. 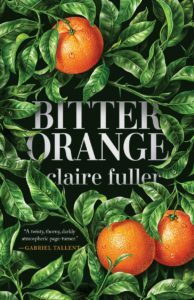 I love a protagonist who’s lonely and socially uncertain, particularly when she’s forced into proximity to the people whose lives she desires (see also: Prep), so I’m very excited to read Claire Fuller’s Bitter Orange. 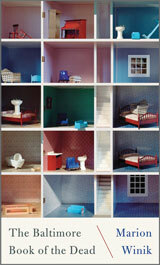 According to Alex Clark at The Guardian, its thoughtful loner, Frances, is also an unreliable narrator (even better! ), and Fuller’s “talent for the sinister” pervades the story of her relationship with the glamorous-seeming couple who she meets at a ramshackle country house. A beguiled introvert, a manor in disrepair, and other people’s secrets? Easy sell. Joe Ide first entered onto the mystery scene two years ago with IQ, his first crime novel, and the first in a series to feature genius investigator Isaiah Quintabe (known as IQ to his few friends and many clients), solving crimes in South Central LA. Wrecked, Ide’s third in the series, is sure to please fans with its mixture of unique setting, complex action sequences, and frequent nods to Sherlockian inspirations. 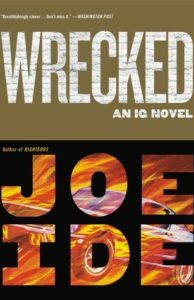 In Wrecked, IQ and his former partner-in-crime Dodson are now official partners in investigations, and trying to make their business a tad more professional while also looking into a missing persons case. 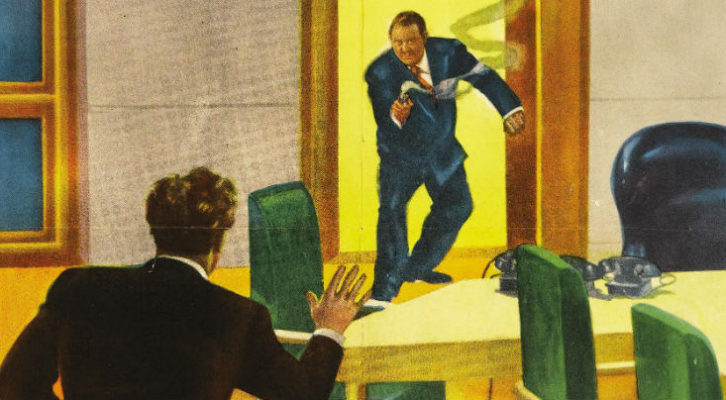 I can’t wait to finish this caper-style comedy – Ide obeys the rule of Chekov’s gun, and his books always end in a glorious mixture of chaos, violence, and and an impeccably choreographed shoot out. 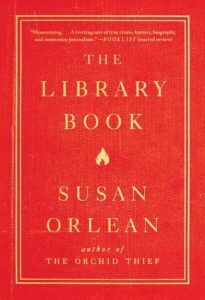 Orlean’s new book, which looks at the 1986 blaze that destroyed 400,000 books and damaged 700,000 more in the Los Angeles Public Library, is the unsolved mystery coupled with a love letter to libraries that I didn’t know I needed! For as long as humans have existed we’ve gazed up at the night sky in wonder. In the last 100 years, technological and scientific breakthroughs have allowed us to look even farther, up to millions, even billions, of lightyears into space. But for all our achievements, no one has been able to capture a photo of one of the universe’s most mysterious phenomena—a black hole. 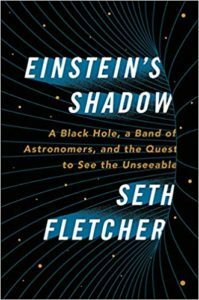 Shep Doeleman , a Harvard astronomer, is very close, however, and his plan to get the capture is chronicled in Seth Fletcher’s fascinating book Einstein’s Shadow: A Black Hole, a Band of Astronomers, and the Quest to See the Unseeable. Fletcher follows Doeleman and his team of international scientists for five years as they work to assemble the equipment necessary to take the photo. 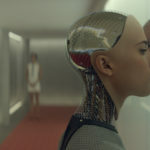 Their story is rife with exciting breakthroughs and heartbreaking disappointments. If you’re a space nerd like me, this book is not to be missed. 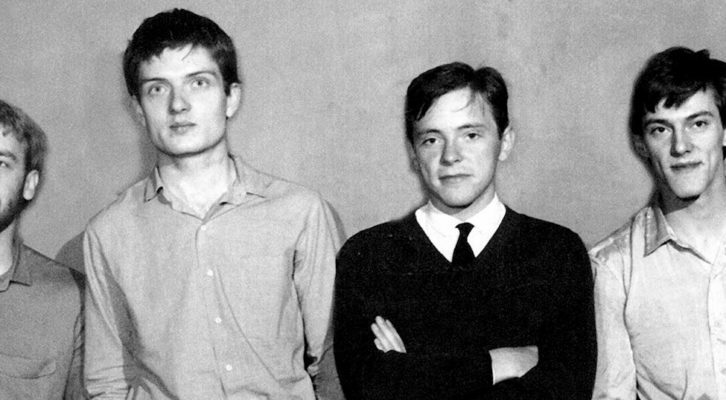 Whether he’s writing about haunted subcultures or the end of the world, Jeff Jackson has a way of balancing surreal settings with painfully realistic group dynamics. 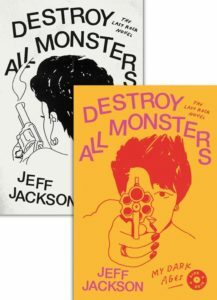 His new novel Destroy All Monsters looks poised to continue that, telling the story of an epidemic of murders of musicians, told through two complimentary narratives. Structurally bold and thematically resonant, this is a welcome addition to Jackson’s bibliography. 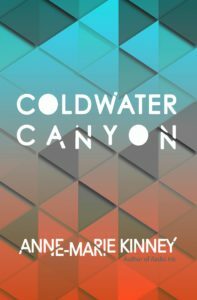 I’m most excited for Anne-Marie Kinney’s Coldwater Canyon. 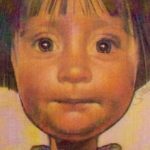 The novel tells the story of Shep, a veteran of Desert Storm, who becomes obsessed with the idea that a young woman by the name of Lila is his daughter. It takes place in Los Angeles where Shep has transplanted from his very different hometown in Nebraska. As a transplant myself, I understand the loneliness that can live within this epic city but I’m curious to see how Shep navigates it all through his lens of trauma of both being a veteran and his neglected childhood, while desperately trying to find something or, in this case, someone who can embody the meaning of home and family. Early this summer I took this book to the beach–what with the pools depicted in both its US and UK covers – but, after a particular story had me sweating too much and almost hallucinating on the sand, I decided I’d save it for fall. Then I read that Alex Chee said “these stories feel like they were written with a lit cigarette on the night wind,” and that’s how I think they should be read. This book had one of those lovely publishing fairy tales – it came out with a very small press in 2014, it was shortlisted for the Guardian First Book Award, and then four years later, it’s been “re-discovered” and is coming out again on both sides of the Atlantic. 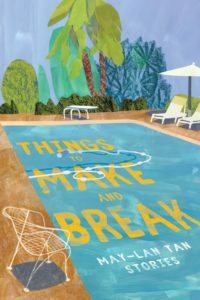 The stories, about relationships and obsessions and kinks and pain, are exhilarating, as is Tan’s voice. 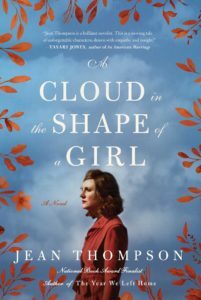 If you haven’t read Jean Thompson, do yourself a favor and pick up her new novel, A Cloud in the Shape of a Girl, about three generations of women in the Midwest. Her characters here, the Wise women (geddit), are so real it feels as if you’re not even reading, but witnessing. The disappointed Evelyn, her even-more disappointed daughter Laura, and Laura’s struggling daughter Grace–you know them, but you haven’t seen them. That’s what Thompson excels at, showing deep inside we’re all complicated, all yearning, even the most unassuming person. But you don’t have to listen to me; Terry McMillan tweeted about this book and how it is blurbed by Tayari Jones. The dead father and protagonist of Martin Riker’s debut novel moves from body to body in search of his abducted son. This novel is a lush, comic, and bighearted journey through the minds and experiences of American strangers. 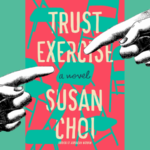 It finds people struggling, failing, and prevailing in their own poignant and hilarious ways. Imagine Clarice Lispector speaking with specters. 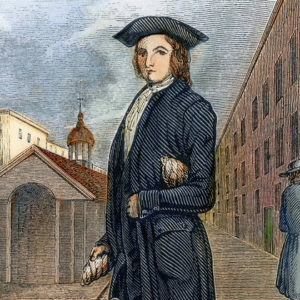 Imagine Emily Dickinson seeking and finding a community. Imagine Hilda Hilst rebelling further into the madding crowd. Imagine Virginia Woolf as a Lisbon-born medium channeling displaced waves of consciousness. Imagine Fernando Pessoa as a woman building edenic spaces outside of our time-space continuum. If you can imagine some amalgamation of these descriptors, you may come close to conjuring up the writings of Maria Gabriela Llansol, but you can never quite know their protean beauty until you have entered these textual landscapes for yourself, and discovered the alternate realities they open up, where time feels simultaneously historical and ahistorical, and space simultaneously geographical and ageographical. 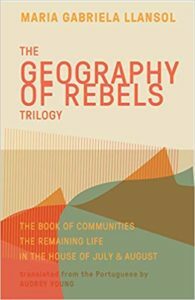 We are fortunate that Audrey Young has translated Llansol’s Geography of Rebels Trilogy into English for the first time. Now we no longer have an excuse to overlook Llansol’s idiosyncratic genius. 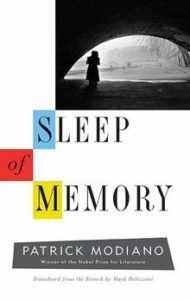 Sleep of Memory, Patrick Modiano’s first novel since he won the Nobel Prize in 2014—translated from French by Mark Polizzotti—breaks no new ground. It’s another lovely, lilting meditation on memory and loss in mid-20th century Paris. 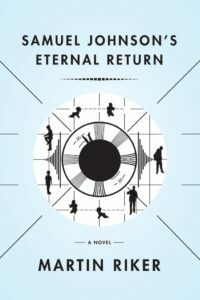 But this resonant novel, more than most of Modiano’s work, makes it clear that his repetitions stem not from a lack of imagination, but from a philosophical interest in recurrence in the wake of historical and personal trauma, as well as a fixation on the impossibility of catching what the narrator calls “time’s fugitive passing and the successive disappearances of people and things. 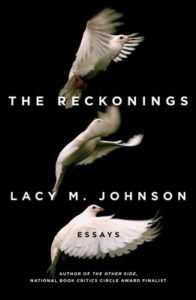 When I first saw the cover of The Reckonings, I thought I was looking at a tablecloth being shaken in the air. I remember thinking, how apt a metaphor: letting fly all the crumbs so to locate and address the markings. Isn’t this what the best essays do? And as it turns out, it is precisely what Johnson does in this remarkable collection. 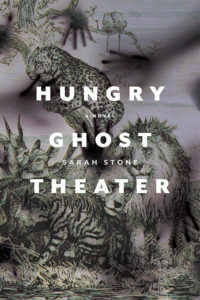 As I read, my certainty that I was “(daring) to see a soul in white heat” as the poet Emily Dickinson wrote, astonished. 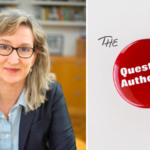 Johnson writes with palpable compassion and brilliance, illuminating her deep humanity, while imbuing it in equal measure in the people she writes about and quotes. That her influences include Audre Lorde, Simone Weil, Adrienne Rich makes for a clear understanding of what is constitutes the sacred ground on which she stands. Finally, the last essay—”Make way for joy”—actually coaxed a smile and made a wee spot for the possibility of hope in my crankitude. This is no small thing. I am grateful. While I haven’t read any of Cristina Rivera Garza’s fiction yet (which says more about my negligence than her writing), I saw her in conversation with Samantha Hunt and Chavisa Woods in 2017, during which she said many brilliant things about bodies, gender, and borders. 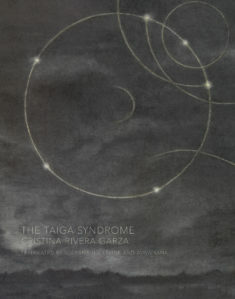 I recently read her essay/manifesto “The unusual“, and it’s only made me more excited to read her latest novel, The Taiga Syndrome. 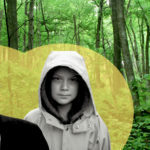 Described as a “fairy tale run amok” with shades of Hansel and Gretel and Little Red Riding Hood, it follows an Ex-Detective who’s searching for a missing couple and finds herself in a territory overrun with Capitalism’s excesses and corruption. That’s a description that has me sold right away, and coupled with that gorgeous title and what I know of Rivera Garza’s nonfiction, I suspect this is going to be one of the best Fall reads of this year. 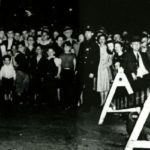 I wanted to be you Martha Gellhorn when I was young: your ease in your own skin; the only woman to be at D-Day and Dachau; you who saw right through politicians as if they were made of air; you who said enough is enough when you got too old to be you. 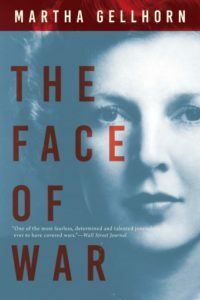 But there can one be one Martha Gellhorn and her war reportage—decidedly anti-war–has been reissued this month. 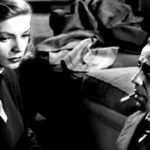 Gellhorn’s use of first-person to detail the merciless acts she sees transmits her alliances—to the poor, the children, the innocent, and sometimes she aligns herself even with those a little guilty the because Gellhorn sees humanity, like war, as a negotiation where bad and good exist simultaneously. In quoting Tolstoi she writes: “governments are a collection of men who do violence to the rest of us,’ but now I think the old Russian was a prophet.” Oh, Martha we miss your voice. 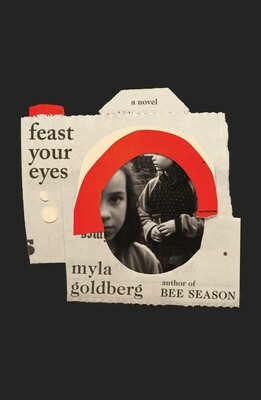 Feast on Marion Winik’s jewelbox of a book filled with gold nuggets of prose and a fevered passion for life even though much is an homage to death itself. Every sentence is a carefully considered slam dunk…breathless, heartbreaking, invigorating. Is it a memoir? A biography? An elegy? Who cares! If I can’t be Martha Gellhorn, maybe then Marion Winik? Tishani Doshi has always been one of the most thoughtful poets alive, one grounded–as a dancer–in the fulcrums of a body. But in this, her third volume, she also hears a seethe of anger as she swings the hinge of a woman’s life between fear and rage. Drawing from this power, her poems take on a new form of oracular address. They are singed at the edges, beveled rather than brocaded, and in new ways, hard as objects. Especially the title poem, with its alternating end rhymes beating out a verse in opposition to the spectacle of abuse and honor killing that continue to plague India. 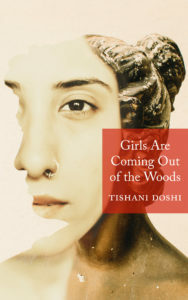 What is remarkable is Doshi does all this while resolutely using the elements of her sea-side life in Tamil Nadu to ruminate on the great fires of life–desire and mourning, awe and comfort. The protections of small t tribe. Love. 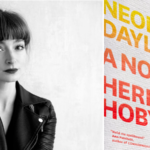 Some poets find their form and toss it off (Terrance Hayes), while others pick a form and spend their lives discovering new ways to perfect it (Kay Ryan). I suspect Doshi is one of the latter types. Most of her poems flow down the page like long rivers of prosy text, their elegance born from the currents of her surprising and sure-footed diction, the froth of ideas which emerges from it. Undergirding this book is a faith in primal forces of living, water being among the most crucial, and if any poet shy of Transtromer has created a metaphorical ecosystem of her sea-side world its Doshi. Still, she resists being tethered too tightly to home and what it too easily represents. In the later stages this book takes flight, leaves these elements behind, and Doshi sings the praises of elsewhere. She must be the only poet I know who can wing a reader through Mexico, Vietnam, Calcutta and Sweden without making you feel like a tourist. This is a strong, companionable book for heartsick times.